One of the results of drinking tea that you make with tea bags is that you end up with a lot of sodden, used tea bags. The surprising thing is that you can take used tea bags and use them in a lot of different, constructive ways. For example, did you know you can apply a wet tea bag to cuts or bruises and they should heal faster? This article explains why. Or that used tea bags can be added to your compost pile and will help create an acid-rich compost for your garden? Read the article to find out why. It’s an interesting article with a lot of neat ways to used used tea bags and not let them go to waste. 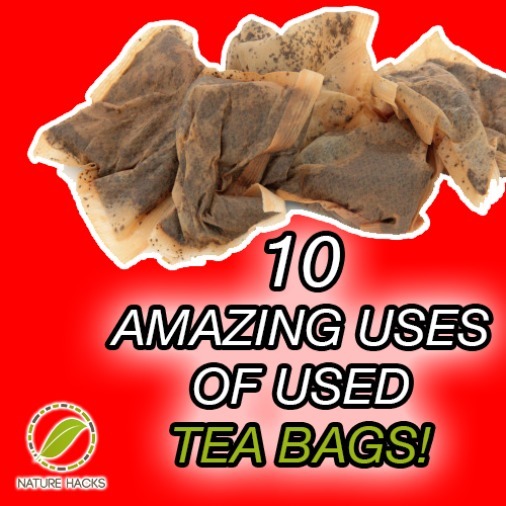 Click on the 10 Cool Things You Can Do With Tea Bags link below to see the complete article.